(Phys.org)—A large international team of researchers working with data sent back from NASA's Kepler space telescope has found evidence of 20 previously unknown, promising exoplanets. In their paper uploaded to the arXiv preprint server, the team describes the exoplanets and highlights the ones that appear to be the most likely to fit into the Goldilocks category. The researchers report that they used a tool called the Robovetter to sift through data from Kepler planetary sightings to winnow down the possibilities—the tool narrows down hits to those that are deemed candidates to support life. Many of the 20 exoplanets that were discovered had long orbits—one in particular, KOI-7923.01, was found to have an orbit of 395 days and was very close in size to Earth. The team found that it was also a little cooler than Earth due to its distance from its star relative to Earth's orbit and the star being cooler. The team notes that their initial study suggested the planet is likely covered by a cold tundra, but that it is still not too cold to support life. Unfortunately, the newly discovered planets are still not fully confirmed because Kepler ran into trouble after recording the part of the sky in which the planets are thought to exist. Thus, Kepler was only able to observe the planets two times—not nearly enough for confirmation. Despite the lack of data, the team reports that they are nearly certain that the candidates are not only planets, but are possibly habitable, as well. Ground-based observations are required to confirm the findings. 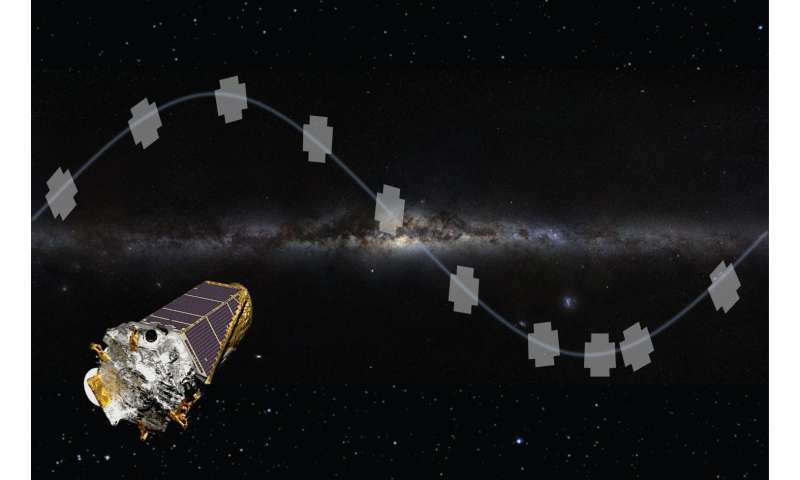 The find was derived from the photometry data sent back by the space telescope over the course of four years before trouble with its reaction wheels back in 2013. The 20 exoplanets of interest were part of a catalogue of 8,054 "Kepler Objects of Interest" that were pared down to 4,034 exoplanets that were believed to have orbits between .25 and 632 days. The 20 exoplanets sifted out are believed to represent those most likely able to support life and thus will receive the most attention over the next several years. We present the Kepler Object of Interest (KOI) catalog of transiting exoplanets based on searching four years of Kepler time series photometry (Data Release 25, Q1—Q17). The catalog contains 8054 KOIs of which 4034 are planet candidates with periods between 0.25 and 632 days. Of these candidates, 219 are new in this catalog and include two new candidates in multi-planet systems (KOI-82.06 and KOI-2926.05), and ten new high-reliability, terrestrial-size, habitable zone candidates. This catalog was created using a tool called the Robovetter which automatically vets the DR25 Threshold Crossing Events (TCEs) found by the Kepler Pipeline Twicken et al. (2016). Because of this automation, we were also able to vet simulated data sets and therefore measure how well the Robovetter separates those TCEs caused by noise from those caused by low signal-to-noise transits. Because of these measurements we fully expect that this catalog can be used to accurately calculate the frequency of planets out to Kepler's detection limit, which includes temperate, super-Earth size planets around GK dwarf stars in our Galaxy. This paper discusses the Robovetter and the metrics it uses to decide which TCEs are called planet candidates in the DR25 KOI catalog. We also discuss the simulated transits, simulated systematic noise, and simulated astrophysical false positives created in order to characterize the properties of the final catalog. We describe how we measure the completeness and reliability and how they vary with period, signal-to-noise, number of transits, and stellar type. Also, we discuss a value called the disposition score which provides an easy way to select a more reliable, albeit less complete, sample of candidates. The entire KOI catalog and all of the simulated data used to characterize this catalog are available at the NASA Exoplanet Archive.